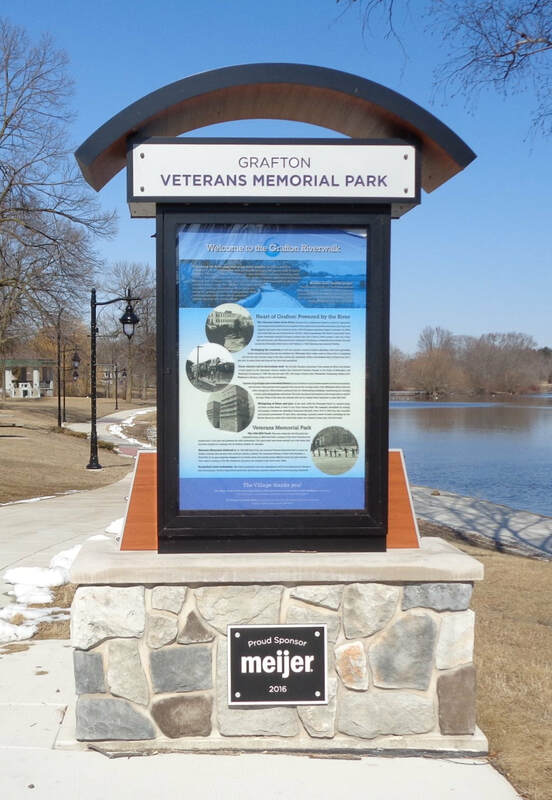 The entrance to the three acre Veterans Memorial Park, along the Milwaukee River, is at the corner of Washington Ave. (Highway 60) and 13th Ave. Plaques honoring various branches of service are located at the corner. Further north on 13th Ave., is the octagonal shaped bandstand with white columned pillars made from cement. Two stairways lead to the stage while a stairway in between them leads to storage area. Free standing benches are available for the audiences. Currently, concerts scheduled by the Grafton Area Live Arts and are held every Thursday evenings in the summer. According to the city parks department, the bandstand might have been built in the late 1930s or early 1940s with funds from the Works Progress Administration (WPA) and Civilian Conservation Corp.(CCC). "Millpond Park -- located on 13th Avenue between Highway 57 and North Street. This land was originally privately owned and was the site of three ice houses and a carpenter shop. Logs were sawed near the carpenter shop. It became a park in 1929-1930. The bandstand was built as a Public Works Administration project in 1932-1933 to get the unemployed back to work after the Great Depression of 1929. This project was funded partially by the Federal Government and partially by the Village. The cannon was donated by the Grafton State Bank in about 1961. 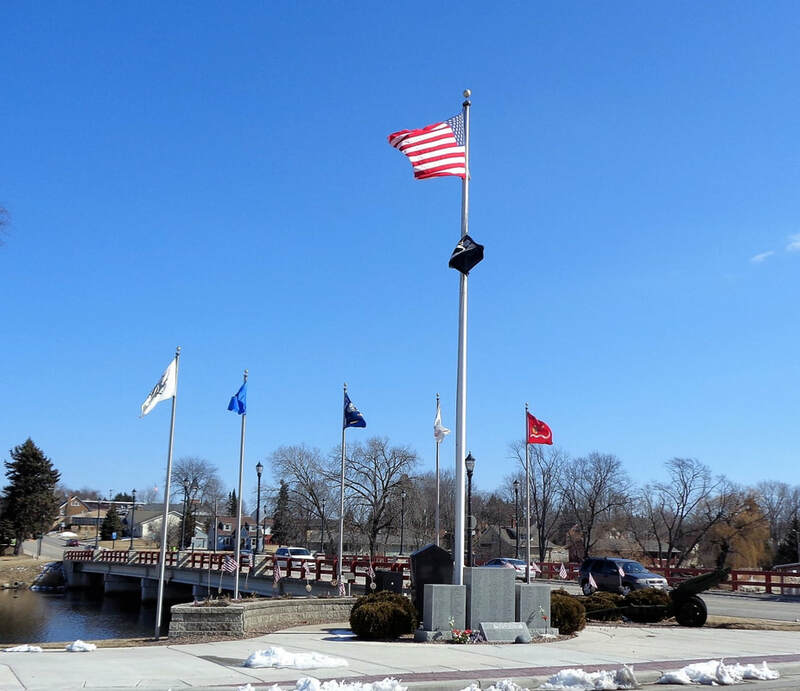 The flag pole and stone bearing names of deceased veterans were donated by the American Legion."